The Construction of Isaac Dooley's Violin. 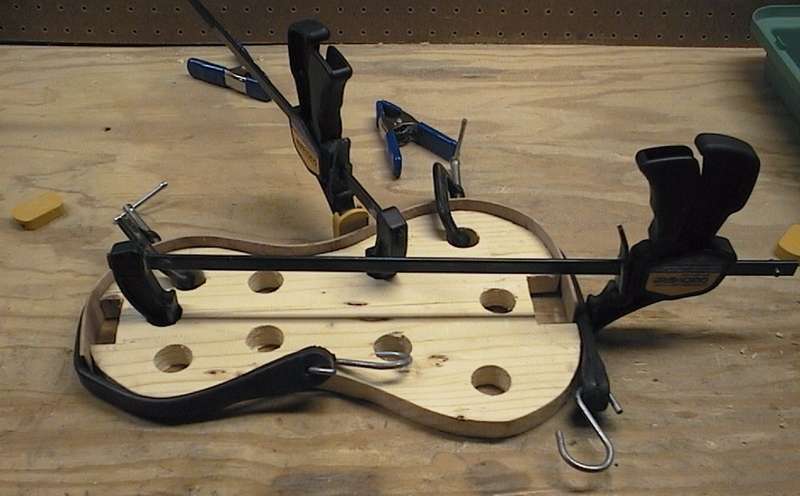 This is the first violin I have ever attempted to build. 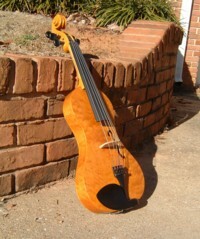 It is a hollow body 5-string electric violin. 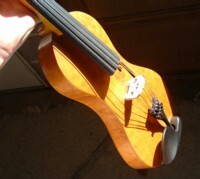 The body is similar to a regular violin or viola, but has some major differences. 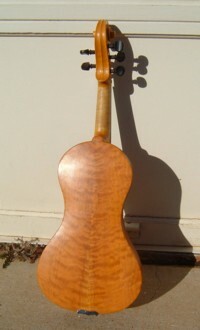 The body has less arch to it than a normal acoustic would, and the shape is more like that of a guitar. 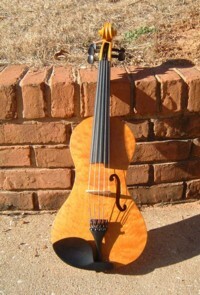 The violin is slightly heavier than a normal violin, and has a thicker neck. 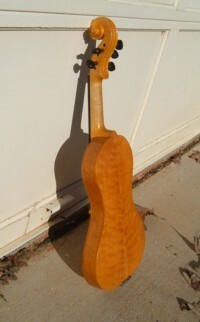 The wood for this body came from a single piece of figured maple. 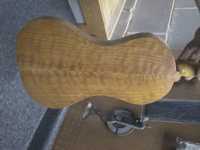 It has a very nice quilted pattern to it, and a light flame. 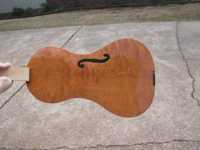 I used this same piece of wood for the front, back, and sides. 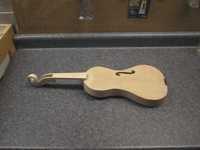 I started with a partially carved neck and fingerboard. 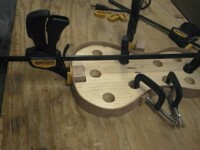 Maybe some day I will start from a block of wood. 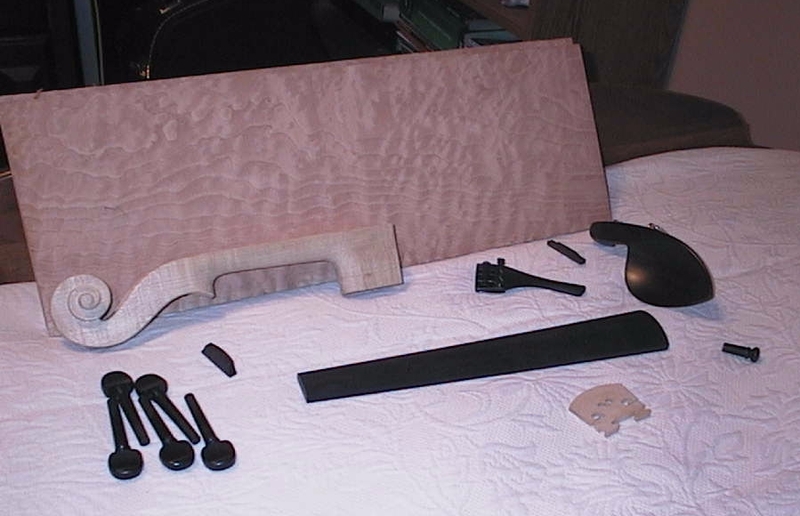 The two pieces of wood used for the entire body of the instrument. 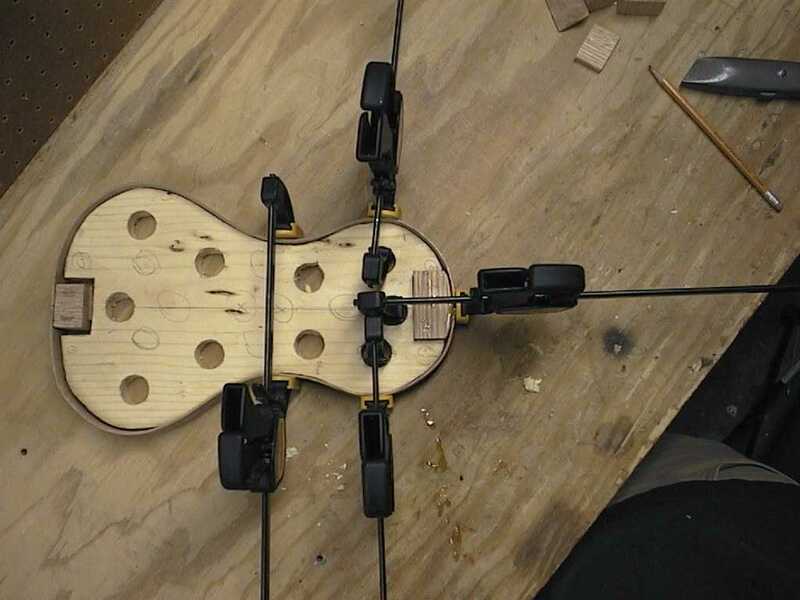 This is the pattern I created for this instrument. 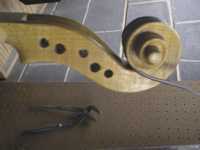 The pattern is roughly a Stradivari shape with modified C bouts, i.e. 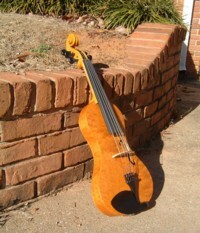 it has no pointy C bouts. I used a cold bending method, which I heard about at www.mimf.com. You can find much information about it there. The sides were soaked in a mixture of water with a small amount of downy for about 2 minutes. 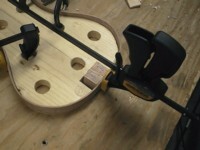 Then the strip of wood was slowly clamped into place, over a period of about 5 or 10 minutes. 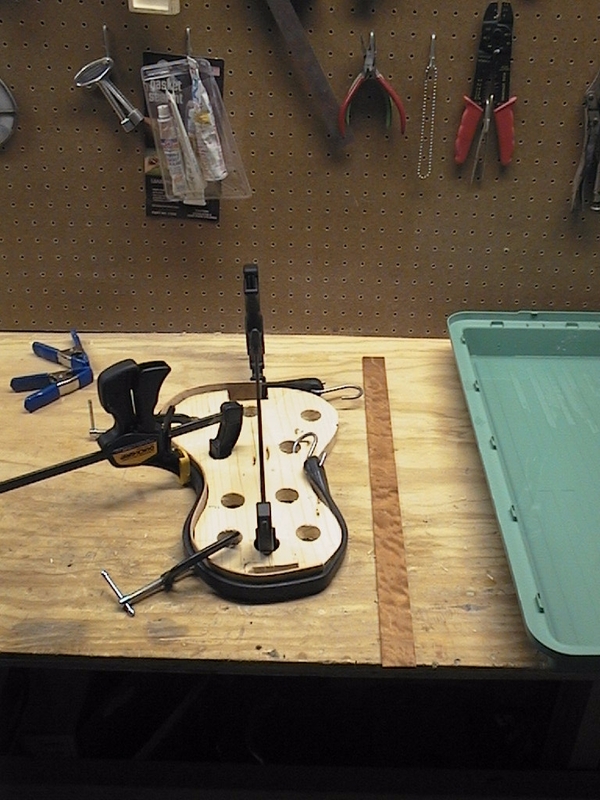 The strip of maple lying to the side of the mold is the second side, after being soaked in water for a couple minutes in the green tub. 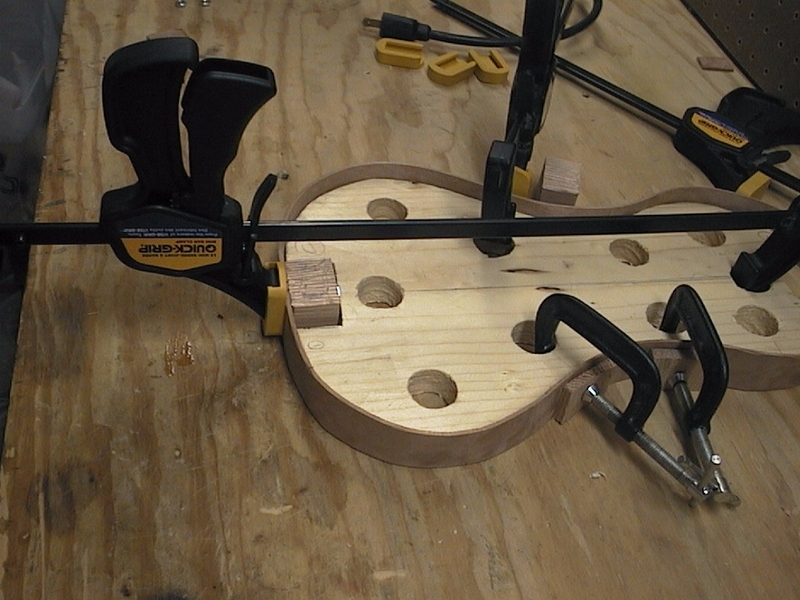 Here I used some clamps and a bungee cord to tighten in the side. Note: quite a few steps happened for which I have no photos. 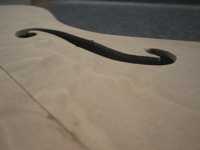 The Scroll. 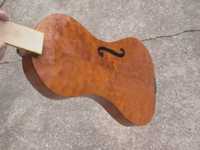 After a few coats of varnish. 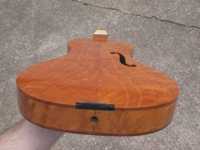 I started with yellow and brown coats of varnish, and at the end used red. Contact me for high-resolution versions of these pictures.